With over 3 million new cases in the United States per year, high blood pressure, or hypertension, is an extremely common medical condition. At Happy Healthy You Family Medicine in Glassboro, New Jersey, Dr. Palmer and her team work with you to develop a complete plan for managing your high blood pressure so you can live life to its fullest. High blood pressure, also called hypertension, happens when the force of blood pumping through your veins and arteries is consistently too high. That can lead to serious health problems such as heart attack, stroke, or even death. Normal blood pressure is below 120/80. If your blood pressure is frequently higher than that, Dr. Palmer helps you find the best solution to bring it back down to normal. About one in every three adults over age 20 gets high blood pressure. It's extremely common, but also preventable. High blood pressure is known as "the silent killer" because most of the symptoms are not obvious. Because of this, it's especially important to schedule regular physical exams that include blood pressure monitoring. Preventive medicine is especially critical in cases of hypertension, as failure to get your blood pressure under control can have dire medical consequences. How does a doctor treat high blood pressure? 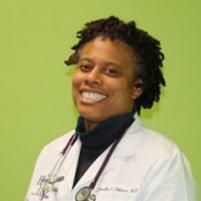 First, Dr. Palmer evaluates your lifestyle habits to determine what might need to change. For example, smoking, alcohol use, and diet are all associated with increased risk of hypertension. After identifying troubling habits, she helps you find ways to regain control of your health. Simple changes in your diet such as decreasing cholesterol, salt, and alcohol can make a huge difference in your blood pressure, even returning it to normal without medication. 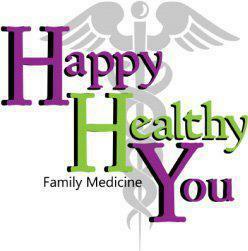 The staff nutritionist at Happy Healthy You Family Medicine would be happy to help you create a meal plan that heals. If lifestyle changes and dietary adjustments are not enough, Dr. Palmer might prescribe medical treatment. Why should you seek treatment for high blood pressure? If left untreated, high blood pressure can lead to serious health problems such as heart attack, stroke, or even death. Although it's common and potentially fatal, your blood pressure doesn't need to be a problem. Call Healthy Happy You Family Medicine today or book an appointment online to discuss strategies for getting your blood pressure back to normal.